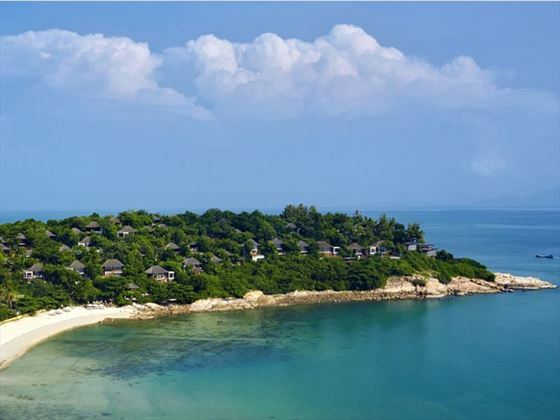 Located at the very tip of the peninsula on the north east coast of Koh Samui, the backdrop of this resort is absolutely wonderful, consisting of endless glistening waters and lush emerald forestry, creating a very serene and secluded ambience. You’re just six miles away from the pristine Chaweng Beach, one of the islands best beaches lined with luscious palms, bars and eateries. 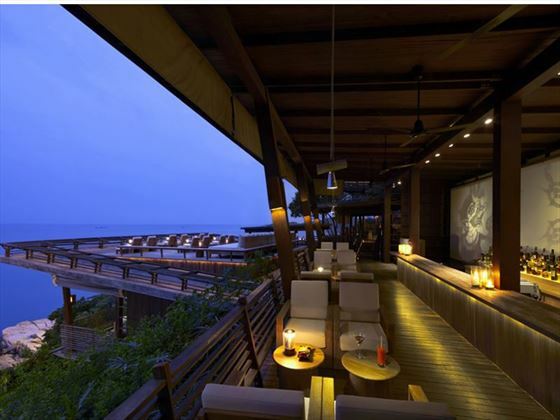 Chaweng has a fantastic range of bars, nightclubs and shops, popular for a fun night out with a bustling atmosphere. The Fisherman’s Village at Bophut is just three miles away, offering a long stretch of sandy beach, shops, restaurants, bars and art galleries. Lots of monuments, temples and stunning viewpoints can be found very close to your resort if you feel like exploring. 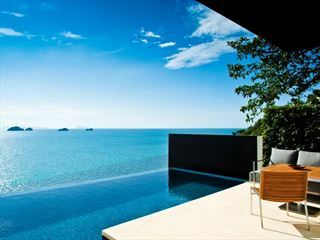 It is a short 15 minute drive to Six Senses Samui from Koh Samui international airport, (where flights connect from Bangkok with a direct 45 minute flight). Hideaway Villa - The only category without a pool but still enjoying a private sun deck for outdoor dining or chilling out with a book. 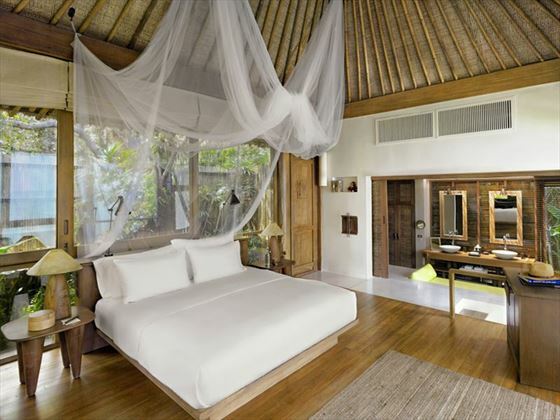 The villas are spacious with indoor and outdoor space equalling 130 sq meters of privacy, sleeping 2 adults. 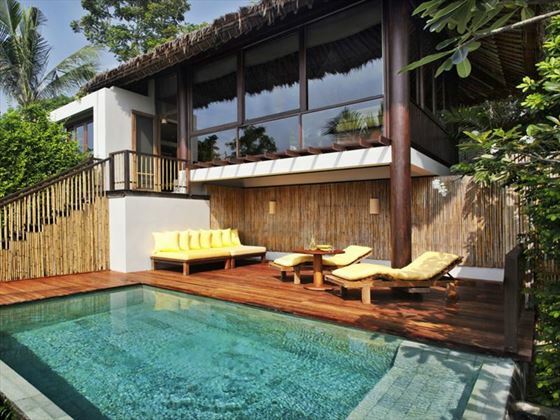 Pool Villa – Hillside villas with an 18 sq m private infinity pool and pool deck. Split level with the bedroom and bathroom upstairs with an ocean view and a pool deck and living space downstairs, sleeping up to 3 adults or 2 adults and 1 child. 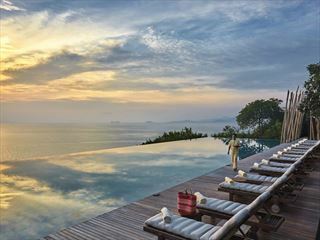 Ocean View Pool Villa – The same size and layout and also located on the hillside these villas have the best locations for a full ocean view. Oceanfront Pool Villa – Perfect for those who want to be steps from the ocean, at the bottom of the resort by the beach, these villas enjoy those ocean views from both levels. 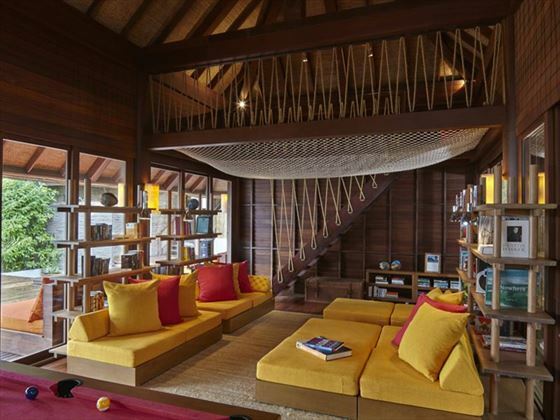 Oceanfront Pool Villa Suite – larger and with 2 bathrooms, this is ideal for three adults or families as the living area can be converted into a sleeping area (2 adults, 2 children maximum). 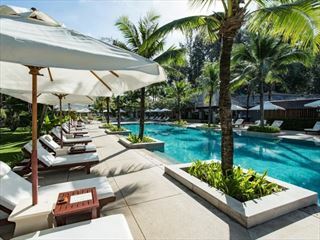 Children aged 11 and under stay for free at this resort on a bed and breakfast basis. 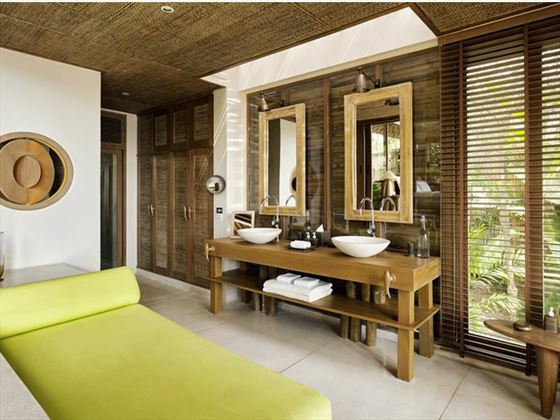 Six Senses is world renowned spa brand so at least one visit to the spa is a must. There is a full range of therapies and treatments and they have on-site experts in alternative therapies; a perfect opportunity to fully rejuvenate mind and body. 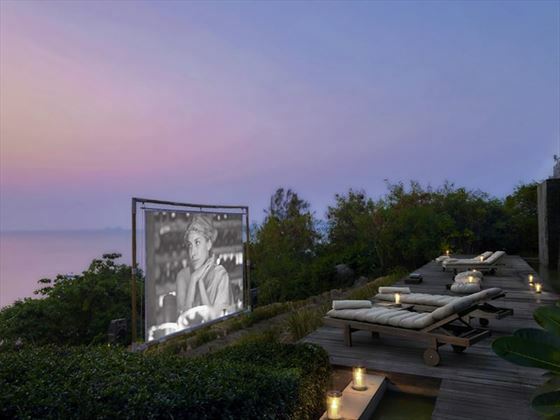 The spa is perched on the hillside to enjoy those spectacular views and you can chose an outdoor treatment Sala for a massage complete with a sea breeze. As part of their holistic wellness approach Pilates and Yoga with expert instructors are also available. Families are welcome here and children aged 6-11 years old receive a 50% discount on food and children under 6 yrs dine for free. The main pool serves freshly made pizzas and burgers. There is an organic farm on-site and children will love collecting eggs, feeding the goats and picking the fresh ingredients for the restaurant. 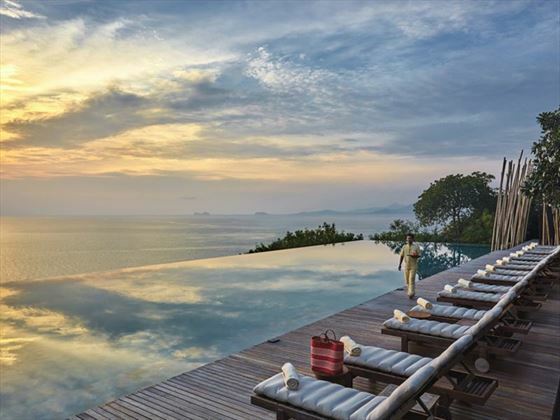 • The Six Senses Spa is perched upon the hillside, offering spectacular views alongside a full range of therapies and treatments. 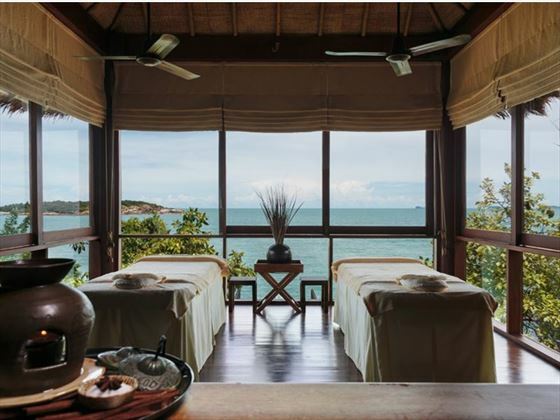 You can choose an outdoor treatment Sala for a massage in the sea breeze. 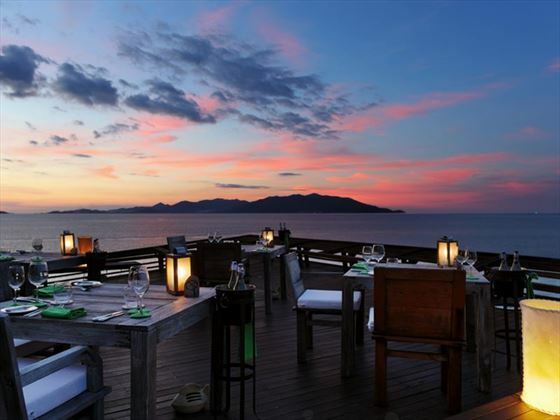 The signature ‘Dining on the Rocks’ restaurant is all about the 270 degree views of the outlying islands and the Gulf of Thailand with ten terraced decks built into the headland maximising everyone’s viewing pleasure. ‘Dining on the Hill’ sits within the centre of the resort and offers regional and international cuisine all day starting with a buffet breakfast. 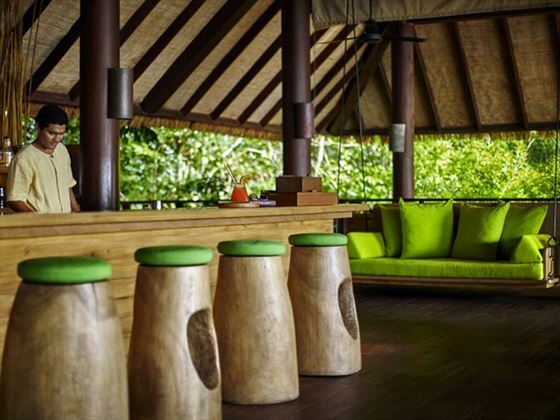 In traditional Thai style, the adjoining bar serves up cocktails to guests in swing seats under a thatched roof enjoying sea breezes. ‘Chill on the Beach’ is for drinks, barbecues and light snacks during the day oceanfront and a pool bar serves those relaxing around the main pool.